Planning a wedding these days is a huge task. Venues, caterers, entertainment, flowers, decorations – there are so many details to take care of, and so much which can go wrong! Given all this, it is not surprising that more and more couples are choosing to hire a wedding planner to make sure that everything goes smoothly on the big day. Choosing your wedding planner is probably the most important decision you can make: after all, the success of everything else hinges on them. So to make sure that you make the right decision, here are the top questions you should ask a wedding planner before you hire them for your big day. 1. What are the services you include? “Wedding planning” is rather a broad term, so the services they offer vary between wedding planners. Their services could include event design, on-the-day coordination, overall vision, or a la carte planning. Generally speaking, wedding planning falls into two broad categories: design and coordination. Some planners do one or the other, some do both. 2. What’s the average cost of the weddings you plan? This is a good indication whether they are in your price range. Weddings can vary greatly in terms of cost, so your wedding planner should be someone who arranges weddings in the same ballpark as your budget. Additionally, they may have a minimum wedding budget they will work to, as wedding planning usually comes in around 15% of the overall wedding budget. 3. Are you available on the wedding date? If you have already set the date, this should be one of the first questions you ask a potential wedding planner. Obviously, if they are not available on your wedding date then you can immediately know that they are not suitable. If you have not yet confirmed the date, ask your potential wedding planner for a few options of dates when they are free so you can get an idea if their schedule will work with yours. 4. How many weddings will you be working on around the same time? Realistically, your planner will likely be working on other weddings concurrently to planning your wedding. It would be lovely to have their 100% attention throughout the process, but this is unlikely to be the case unless you are willing to pay an extremely high premium. What you do want to know, however, is that they will not be juggling an excessive amount of commitments, and that on the day of your wedding you will have their full attention. 5. Is Wedding Planning your full time job? It is not uncommon for wedding planners to have this role part time, and balance it with another job. This is not necessarily a problem, but if this is the case it is worth knowing. You will also want to know what their other job is to get a sense of whether they will be able to dedicate sufficient time and focus to your wedding. 6. What ideas do you have for our wedding? In the initial stages, even an excellent wedding planner will not have every single detail worked out. 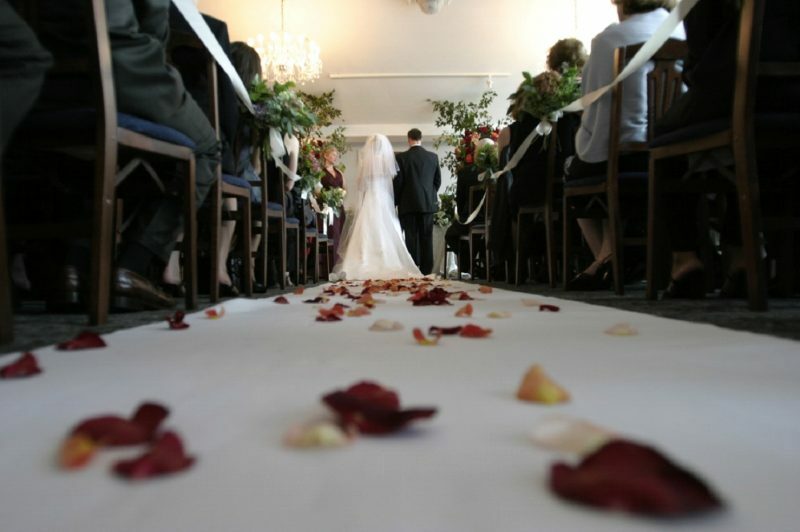 Likewise you may not have a clear picture of what you want your wedding day to look like yet. However, after discussing your general tastes and needs, the wedding planner should at least be able to come up with a few suggestions. For example, if you do not want a traditional church wedding, they should be able to suggest some fitting venue options. Likewise, if you tell them you would like a more innovative style for your dress and accessories, they should be able to recommend creative choices like taffeta fabric and Celtic knot earrings. 7. Do you have particular relationships with vendors? Many experienced wedding planners will have specific vendors that they regularly work with. This can be a real plus, because it can mean that you have direct access to premium vendors and suppliers, from caterers to an exclusive fabric shop in London and maybe even a discount. On the flipside, in some cases wedding planners may only want to work with specific vendors, so you will want to be clear on this, and if you have a particular supplier you want to use this could be a deal breaker. 8. Can you provide references? Any experienced wedding planner should have no problems in providing a list of previous satisfied clients who are happy to act as references. It is also standard practice for you as a potential client to ask for references, so don’t be shy!